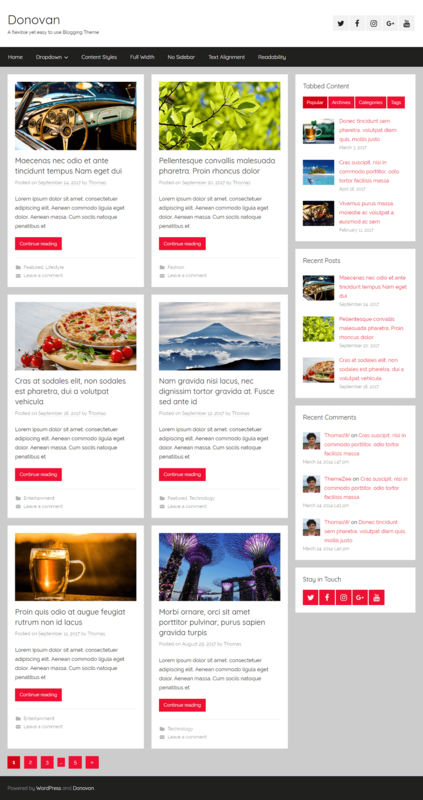 Donovan is a flexible, easy-to-use blogging theme with a clean and modern design. Donovan Theme is friendly with all kind of devices. 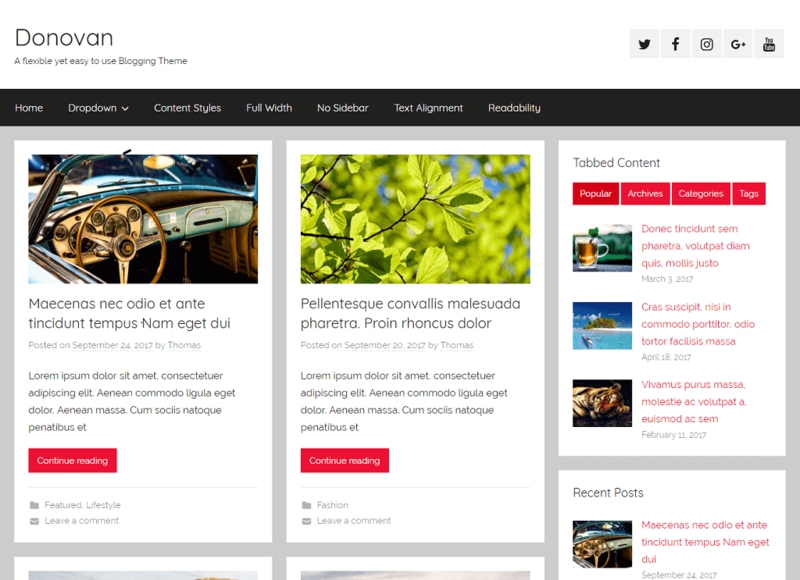 It features an elegant mobile-first design, three different blog layouts and extensive post settings. Donovan is perfect for your personal blog or for any content-focused website.